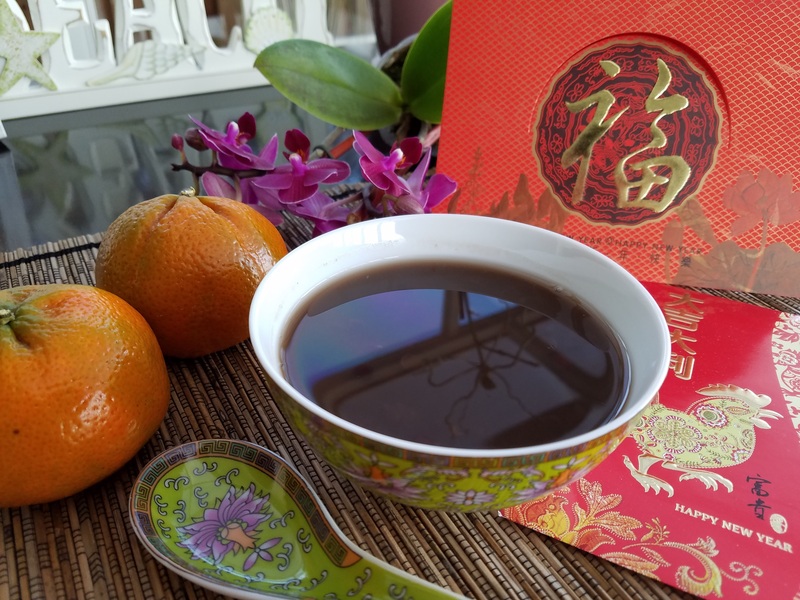 I was in search of a simple dessert for reunion dinner. 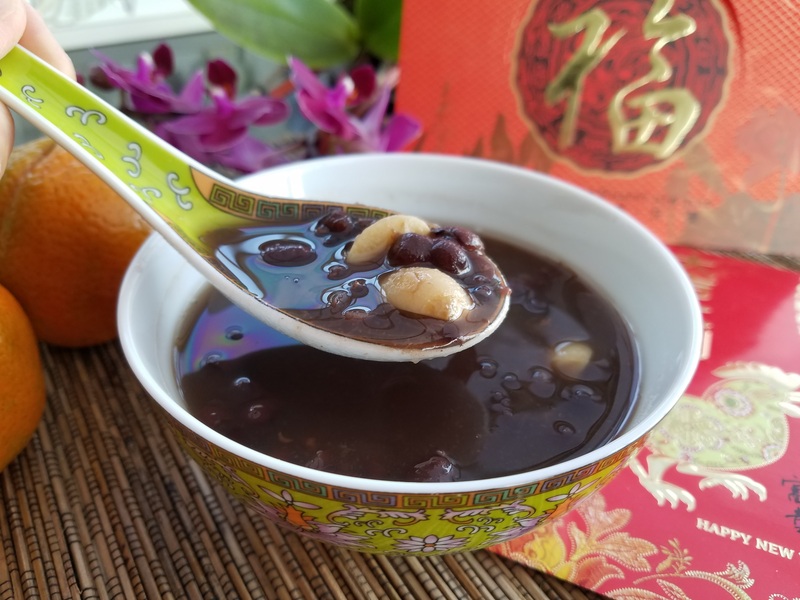 Thanks to Mrs Leong of The Best of Singapore Cooking, I found this Red Bean Lotus Seed Soup recipe. I’ve modified it to use the slow cooker instead of the pressure cooker. It turned out perfect; its a wonderful sweet ending to some great time spent with family over the most important dinner of the year. 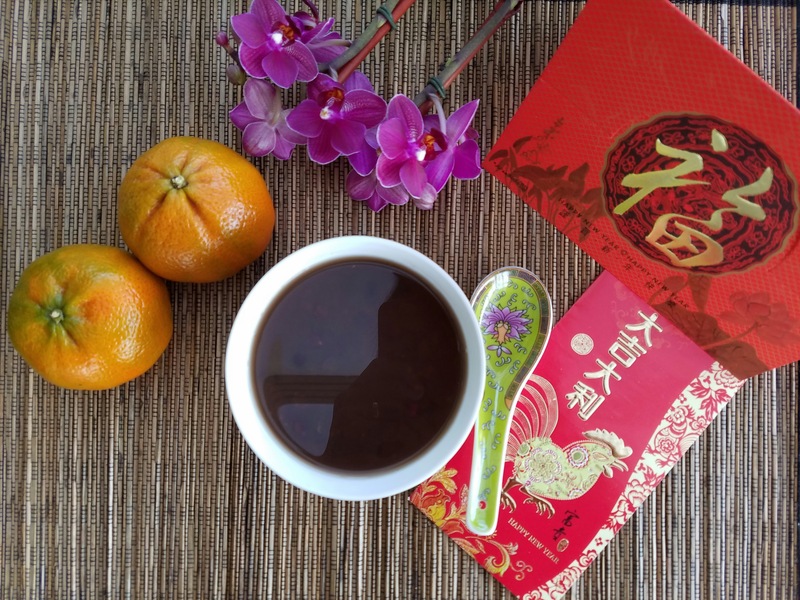 Have a healthy and prosperous Year of the Rooster! Bring 4 cups of water to boil. Add the lotus seeds, and keep it boiling over medium high heat until the lotus seeds are cooked, plump but not soft, about 30 minutes. Check frequently, you do not want to over cook the lotus seed. Removed from heat and set aside to cool. When cooled, drain. If the lotus seed have green pith, split in half with a paring knife and remove the pith. Set aside. Boil the red beans for 1/2 hour over medium high heat in 4 cups water. Drain and rinse with cold water in a colander. Place beans in a 5 quart slow cooker. Bring 4 pints of water to a boil in a sauce pan and add the boiling water to the red beans in the slow cooker. Set the slow cooker on high to cook for 4 hours. At the end of four hours, add the dried orange peel, 4 screw pine leaves, and rock sugar. Adjust the rock sugar to desired sweetness Set the slow cooker on low and cook for another 4 hours. Half hour before serving, remove the orange peel and pine leaves. Add the lotus seeds. Cook for another half hour.